This event for the City of Scottsdale featured approximately 120 exhibitors, providing a wide range of information about products, services, programs and other great resources for the valley's 50+ community. This was a great place to find information about senior housing, recreation opportunities, transportation resources, healthcare options or valley wellness programs. 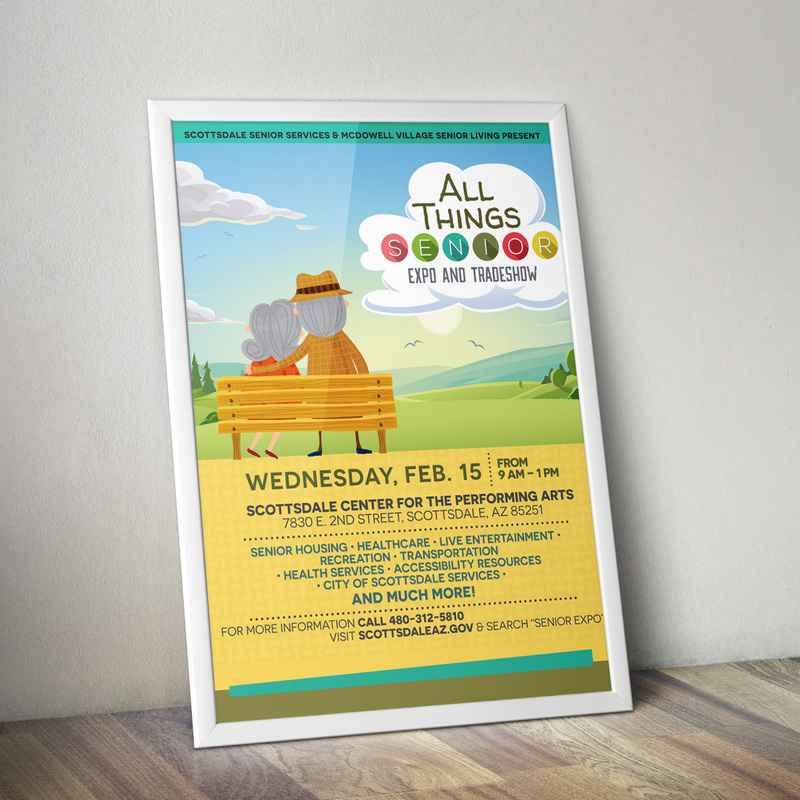 The "All Things Senior" Expo & Tradeshow provided a one-stop shop for those looking to connect with valuable local resources. We were asked to create a poster for this event, in addition to a newspaper ad and magazine ad. We decided to use an illustration of an elderly couple gazing at the sunset (which we have come to know so well here in Arizona). 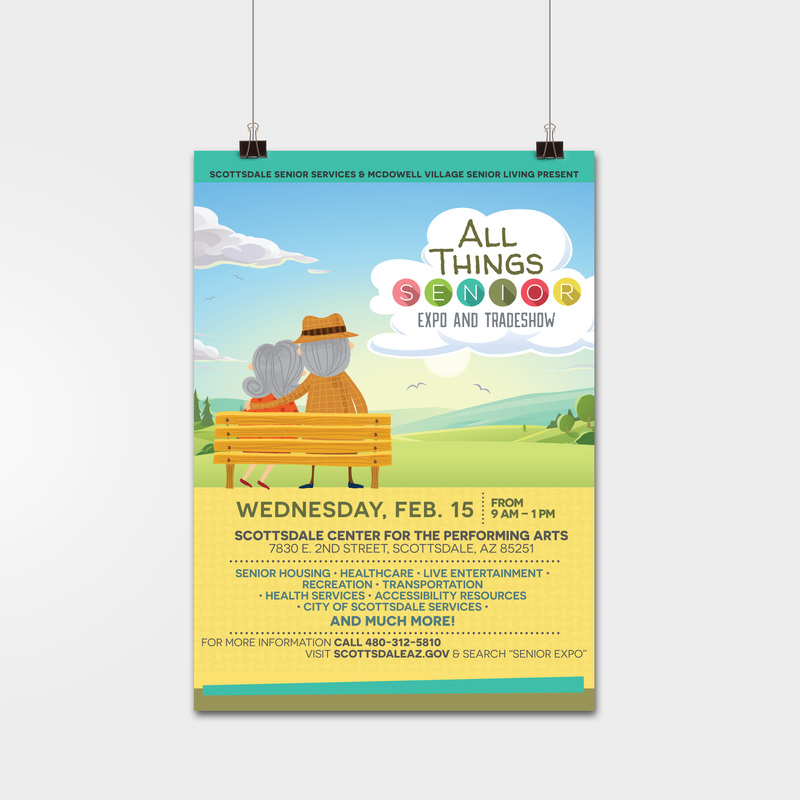 We wanted the focus to be on the theme of the event (seniors and their life) so we used a calming pastel color palate and had fun with the typography. We loved helping the city with this project and were so glad to hear the event went well. This organization really puts their heart into helping the community and this event was surly a good example of this. Thanks to the City of Scottsdale for letting us be a part of it.